This gorgeous Hot Diamonds Sterling Silver Leaf Pendant has a high polished finish, it is set with three signature Hot Diamonds round brilliant cut diamonds. 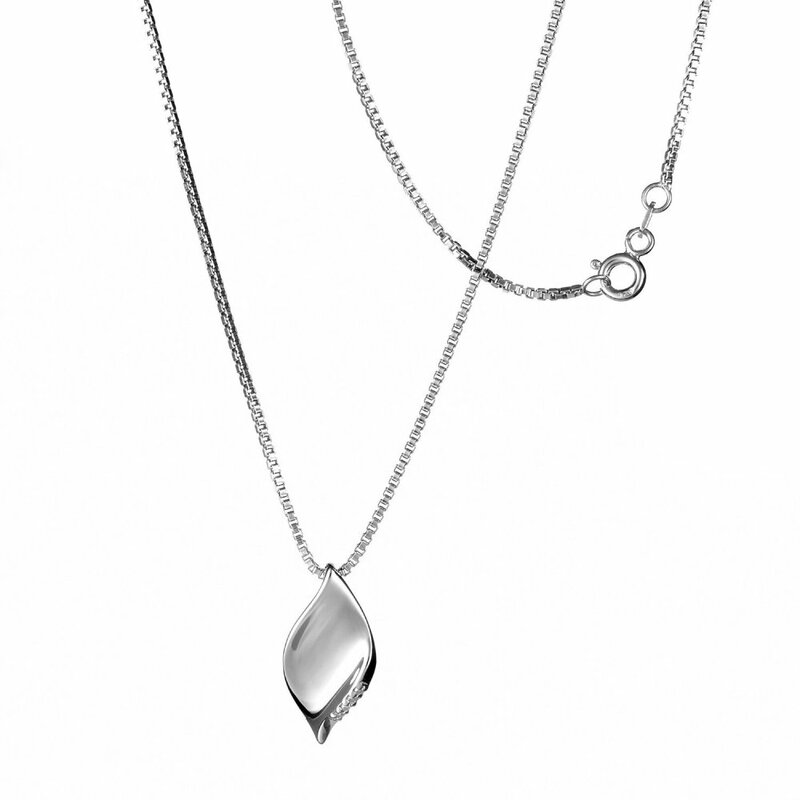 Inspired by nature it is designed to reflect early morning dew resting on a leaf. As with all Hot Diamonds Jewellery the pendant is rhodium plated sterling silver which gives each piece an extra sparkle and a long lasting shine. Ideal for everyday wear to add something special to your outfit.